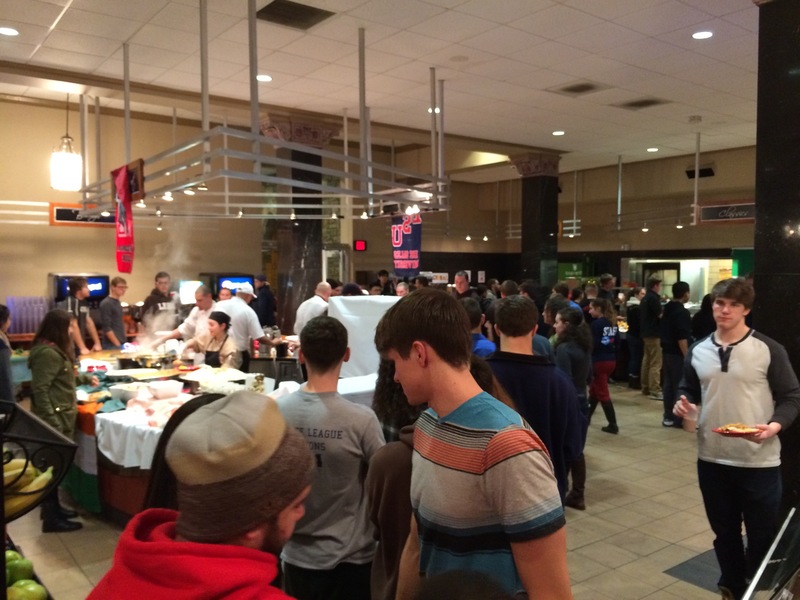 Two nights ago in Lower Court there was a Chef Challenge competition between four schools. The way it works is schools send a few of their chefs to a school where they each prepare a few offerings with a specific cultural theme. 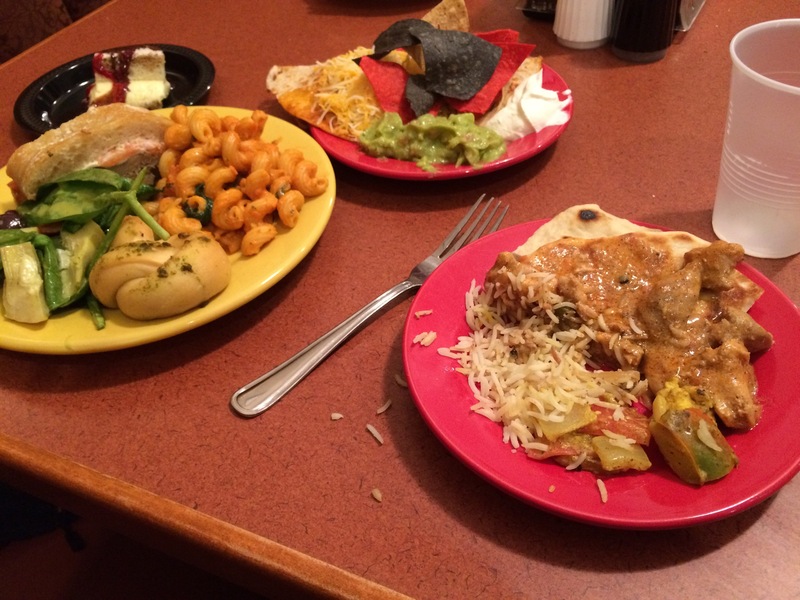 Students sample food from each of the four and vote for their favorite at the end. The four schools were Lehigh, Moravian, Muhlenberg, and DeSales. Lehigh’s cultural theme was Italy and they made quite a few offerings. They made some garlic bread, spinach salad with olives, chicken parmigiana sandwich, pasta with vodka sauce, and tiramisu for dessert. If I’m not mistaken Moravian’s theme was Mexico and they made chicken and cheese quesadillas, guacamole with some chips, and these chocolate covered cookies for dessert. Then Muhlenberg’s theme was India where they had naan with chicken curry, a lamb biryani, some curried vegetables, and some kind of rice dessert with dried fruits and nuts. Finally DeSales theme was America where they made a cheese steak sandwich with potato chips and also a vanilla shake. I was only able to eat from Lehigh, Moravian, and Muhlenberg but friends of mine got some of what DeSales made too. Everything the schools made was great. It was much better than a normal night of dinner and it was a lot of fun to try each of what the schools made. It was also very crowded so the lines were quite long. In the end though Lehigh won by a landslide. I think we had over 300 votes compared to the other schools where none of them surpassed even 60 votes. It was a great night and now I can’t wait for next years competition. This entry was posted in Uncategorized and tagged Chef, Competition, lehigh university. Bookmark the permalink.